Just when you thought Toyota trucks couldn’t get any more versatile… they do! Toyota has officially announced that they will be unveiling the all-new 2020 Toyota Yaris Adventure truck at the 2019 New York International Auto Show. This part-truck, part-sedan vehicle will have a two-seater cabin and a semi-roomy bed, but its real appeal will be the great fuel efficiency that it’ll bring to the table. It pulls inspiration both from Toyota’s truck lineup AND the popular and compact Toyota Yaris. Check it out – Toyota of Orlando has the scoop on this new Toyota truck. What will this Orlando Toyota truck have to offer? 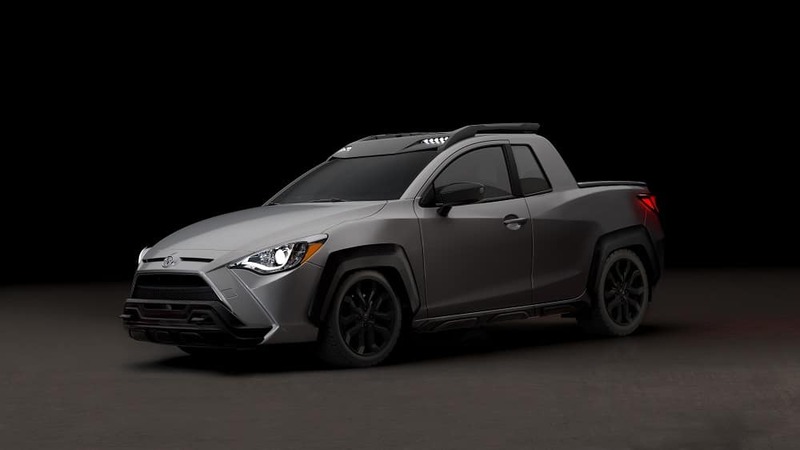 With the introduction of the 2020 Toyota Yaris Adventure, Toyota is actually creating an entirely new segment in the industry – the subcompact truck. It has a 53″ bed and a payload of 297 lbs, which means you can easily take a cooler AND a set of golf clubs with you on your next adventure. The bed is composed of composite for durability. The engine is a 1.5L 4-cylinder and it churns out 103 horsepower and 112 lb-ft of torque. It also was supposed to boast Dynamic Torque Vectoring All-Wheel Drive, a feature found in the new Orlando Toyota RAV4, but the engineering just didn’t pan out. This new Toyota truck has a coil-spring double-wishbone suspension front suspension and leaf-spring rear suspensions. It also has a 7.6″ ground clearance so driving over a curb is no big deal. You’ll find that this new Toyota boasts tow hooks so your friends can pull you out of tight spots. You’ll love the sound system in this Orlando Toyota truck. It has a 7″ display audio system with 2 speakers – one in each door – and one USB port plus Bluetooth wireless streaming. Navigation is unnecessary because you most likely won’t be taking things off the pavement anyway. The exterior of this subcompact truck is sure to turn heads, too. It boasts a unique design (no one has ever seen anything like it, we can guarantee) as well as a hexagon lower front grille and automatic LED headlights with daytime running lights. Plus, you’ll find that while small, the interior has just what you need. There’s no backseat (so you don’t have to worry about driving everyone around, obviously) and there’s some storage seat behind the two seats. You’ll love the superior blend of comfort, fuel efficiency, and style that this Orlando Toyota truck has to offer. We can’t wait for it to hit the stage at the New York Auto Show so we can see it in all of its glory. Have questions or want more information? Follow us on social media for updates. 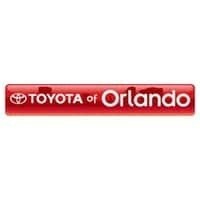 Toyota of Orlando is conveniently located at 3575 Vineland Road, just off I-4 near the Millenia Mall. Oh, and… HAPPY APRIL FOOLS’ DAY!